Each week leading up to World Read Aloud Day (February 24th) we want to join our voices around the world to celebrate one of the strengths of reading aloud. Many students have already contributed their voices to talk about Belonging, Curiosity, Friendship, and Kindness. During the week of January 31-February 6, we celebrate how reading helps us be confident and proud to be who we are. Reading the world empowers us to own our strengths. What stories make you confident and proud to be you? We hope you will share this Flipgrid with other educators, students, and families around the world and record your responses which can last up to 90 seconds. Wouldn’t this be a great way to practice some informational writing in classrooms? Wouldn’t you love to hear stories from the families that you serve? Aren’t you curious about the perspectives on this question from around the world? Let’s join our voices and contribute responses all week long. By sharing our stories of confidence, we are supporting one another’s confidence in the power to read aloud. In addition, you might also consider coming up with your own posts in response to this week’s theme on your own blog or site. You might write or record about a book or character that feels personal to you. You might strike a confident pose with a book that gives you strength and post that picture to social media. You might read in a place that you normally wouldn’t and take a picture to share. You could dare others to do the same. Whatever additional ways you choose to celebrate “Confidence Week”, please tag your posts with #wrad16 and #confidenceweek as well as mention @litworldsays (Twitter) and @litworld (Instagram, Facebook). At our school, we’ll be sharing many stories that demonstrate confidence. 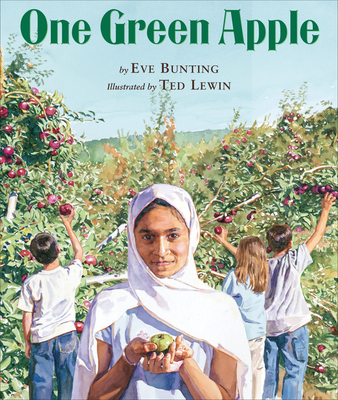 A few of our picks will be One Green Apple by Eve Bunting, Ish by Peter Reynolds, Star of the Week by Barney Saltzberg, Dancing in the Wings by Debbie Allen, Firebird by Misty Copeland, and Bridget’s Beret by Tom Lichtenheld. It’s not too late to share your schedule for World Read Aloud Week on our shared Google Doc and find someone to connect with around the world. Let’s empower one another’s confidence this week throughout our global community. This entry was posted in Advocacy, Connected Learning, event and tagged books, confidence, connected learning, flipgrid, global collaboration, read aloud, reading, reflection, World Read Aloud Day, wrad16.